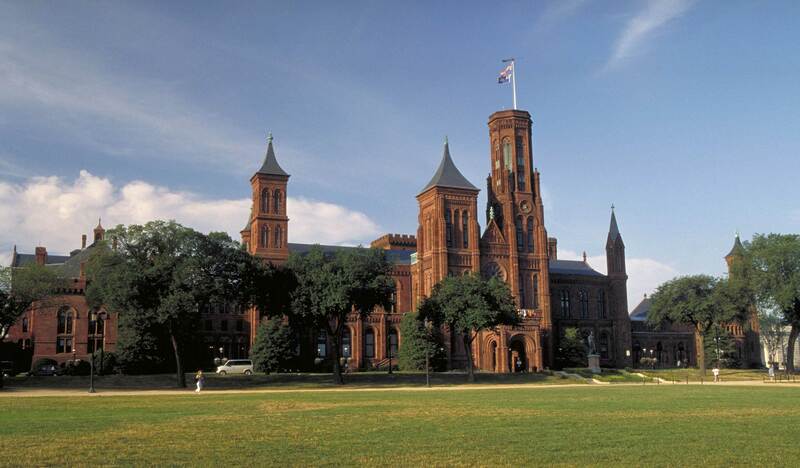 The Smithsonian Institution is a museum and research complex of 19 museums and galleries and the National Zoological Park, as well as research facilities. Budget—The Smithsonian’s federal appropriation for fiscal year 2019 (Oct. 1, 2018–Sept. 30, 2019) is $1 billion. The Institution is about two-thirds federally funded (a combination of the congressional appropriation and federal grants and contracts). In addition, the Smithsonian has trust funds or non-federal funds, which include contributions from private sources (endowments; donations from individuals, corporations and foundations; and memberships) and revenues from the Smithsonian Enterprises operation (magazines, mail-order catalog, product development, entertainment, shops, restaurants and concessions). Visitors—There were nearly 29 million visits to the museums and the National Zoo in 2018. Admission to all Smithsonian museums in Washington is free. The museums are open seven days a week. (The Smithsonian is closed on Christmas Day.) A visitor’s center is located in the Castle. Smithsonian Collections—The total number of objects, works of art and specimens at the Smithsonian is estimated at nearly 155 million, of which nearly 146 million are scientific specimens at the National Museum of Natural History. Smithsonian Affiliations—Through this ambitious program of long-term loans of collections of artifacts and the expertise of its staff, the Smithsonian shares its vast collection and programmatic resources with museums and educational institutions around the country. There are more than 200 affiliates in nearly every state, Puerto Rico and Panama. For more information, visit www.affiliations.si.edu. Traveling Exhibitions—The Smithsonian Institution Traveling Exhibition Service (SITES) organizes exhibitions on art, history and science and circulates them around the country. Each year, SITES travels more than 40 exhibitions to hundreds of U.S. cities and towns in all 50 states and the District of Columbia, where they are viewed by millions of people. Research Facilities—These include Archives of American Art, Smithsonian Conservation Biology Institute, Smithsonian Astrophysical Observatory, Smithsonian Environmental Research Center, Museum Conservation Institute, Smithsonian Libraries, Smithsonian Institution Archives, Smithsonian Tropical Research Institute and the Marine Station at Fort Pierce, Fla.
Digital—The Smithsonian home page, www.smithsonian.org, offers a wide range of information, from planning a visit to exploring the collections online. Also, the Smithsonian had 160 million unique visitors to its website in 2018, and has more than 30 mobile apps, digital magazines and more than 13 million images and records on the Collections Search Center site. The Smithsonian is fully engaged in all social media with about 15 million followers.